You probably know that Beatrix Potter was the author of The Tale of Peter Rabbit. And you may even know that it’s been reported (by Roald Dahl, no less) that she wasn’t particularly fond of kids. But what you probably don’t know is that she was quite the expert on mushrooms. 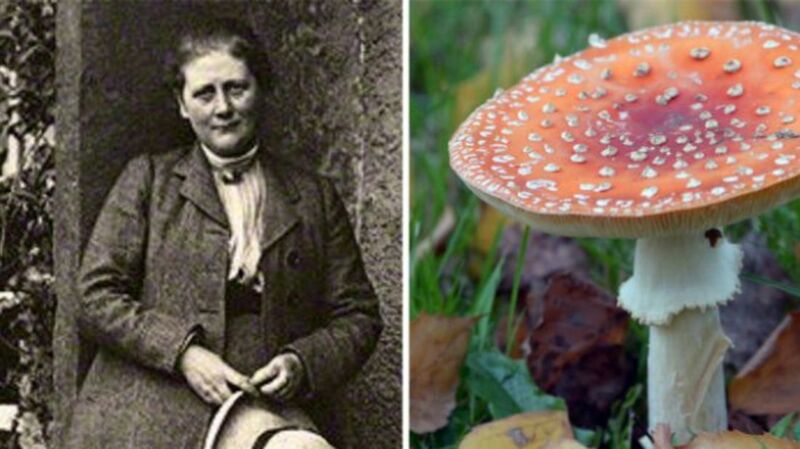 Before stories like Peter Rabbit and The Tale of Benjamin Bunny made her famous, Potter had a passion for fungi. She studied and drew them in staggering detail, even making an important discovery about how they reproduced by spores, completely reclassifying them as lichens. Unfortunately, Potter was an expert in the wrong era. When she attempted to submit her findings to the Linnean Society of London in 1897, they turned her down. If she wanted her research to be read, they told her, she would have to get a man to submit it, as women were not allowed to become members. It was their loss—years later, her theories were proven correct. The Linnean Society could have made that “discovery” much sooner had they just allowed Potter to speak. Though she eventually turned her attention to writing (lucky for us), Potter kept all of her mycological work, willing it to the Armitt Museum upon her death. Her gorgeous watercolors—more than 450 of them—can still be seen there today. According to the Armitt, “These works have the almost unique distinction of being both scientifically accurate and beautiful works of art.” They’re so accurate and detailed that mycologists still refer to them to identify fungi today.